Once your business reaches a certain size you are going to want a strong team of IT professionals to help you understand, install, repair, maintain, and secure you IT systems. It is a small job at first and one that you might feel comfortable doing yourself. However, as a successful business grows, so does its IT demands. After a certain point, it is simply too much to handle yourself. You have two distinct options with their own advantages when it comes to securing a professional IT team. Option one is to hire an in-house team and pay them a yearly salary. True, they will spend their time focusing on your business needs, but it is going to be expensive and you will be paying them even during their downtime. Your second option is to hire a professional third party company like Buzz Computers to address your individual IT needs as they arise. The correct option also depends on the size of your business. If you run a large business, then you likely have the funds to finance your own in-house team. Buzz Computers focuses on small-to-medium sized business that has 100 or fewer employees. That might sound like a small business to some, but 100 employees can result in a large and complex IT network. Buzz Computers helps businesses in this size range all throughout the Ontario, California, area. That includes businesses located in San Bernardino county, Riverside County, Orange County, and Inland Empire. No matter what your niche or IT demands, Buzz Computers can help you to safely and securely manage your IT networks without the demanding yearly salary of an in-house employee. We also understand that every business has its own unique needs. For example, is your business a public sector business? Do you have an important obligation to protect the financial information of customers? Or perhaps you work in the private sector and need to protect other types of data. Whether it is security, privacy, communication, maintenance, or anything else, Buzz Computers can help you achieve your goals with our managed service providers in Ontario. Taking records is an important part of any business. Unfortunately, this also opens the door for the possibility of sensitive information being stolen by hackers. How you choose to protect this information can determine the future success of your business. It only takes one leak for a business to go down forever. Buzz Computers has helped many companies in Ontario, CA and the surrounding areas. We are easily one of the best companies around and offer a variety of services that can benefit any business small or medium. Below you will find a short list of a few of the services we offer. A lot of companies spend time looking for one-stop solutions to viruses. They believe there is some miracle virus-killing program that can protect any computer. The truth is that you need a team of highly trained professionals to handle the new and unique viruses that are being produced on a daily basis. That is exactly what Buzz Computers is offering. You can also contact our Ontario computer repair shop for the following services. Not only that, but they can help you with any new upgrades. They can set up your new systems in an optimal manner so that you experience minimum downtime with the highest level of security possible. The last thing you want is to expand your business while your computer network is failing. That is why you need an IT service that can keep your network up to speed with your growing business. Buzz Computers serves Ontario, San Bernardino County, Orange County, and Inland Empire. If your business is in one of these areas, then contact Buzz Computers or call us today at (951) 572-2507 to see how we can help your network stay safe and continue growing. 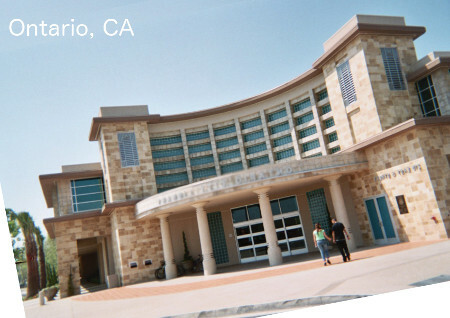 Ontario, is a city within the state of California, more specifically in San Bernardino County. The city of Ontario is in proximity to Los Angeles, about 35 miles east of Downtown Los Angeles. Statistically counted as part of San Bernardino County, it sits in an area called the Inland Empire region and is home to roughly one hundred and sixty thousand residents. The LA/Ontario International Airport is here, which is a top-twenty American airport based on cargo freight carried in and out. Ontario is a freight traffic hub. It’s geographic location makes it a connecting spot between the Long Beach and Los Angeles ports and the rail and roadway routes to the rest of the nation. A notable local landmark is the Graber Olive House, which is the oldest still-operating olive packing property within the United States borders. Its yields date back to 1894, thanks to olive trees planted by C.C. Graber in 1892. The Ontario Convention Center is a primary location for commercial expos and shows in the area. Also, definitely visit the Ontario Mills for an unparalleled shopping and dining experience.